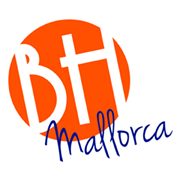 BH Mallorca is a brand new hotel coming to Mallorca, with plans to be an all in one party solution that offers outdoor dance music events, plenty of water park based fun and lots of luxurious rooms in which groups of friends can spend entire weeks in. And, as well as lots of nighttime activities, there will be plenty to do during the day at the venue. 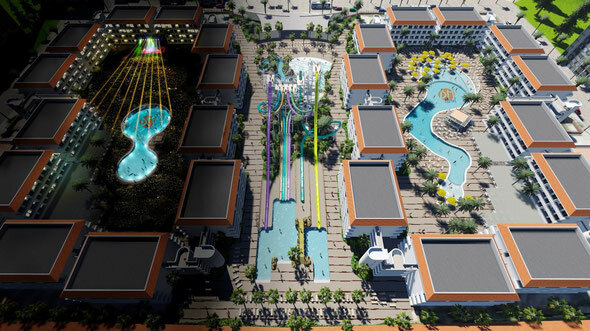 BH Mallorca aims to rival venues like Ushuaia in Ibiza by offering a clubbing experience that also offers nine “white knuckle” slides in the over-18s water park, a wave pool and three jacuzzis, suites with a beach club view, stage view, pool view, water park view and street view. 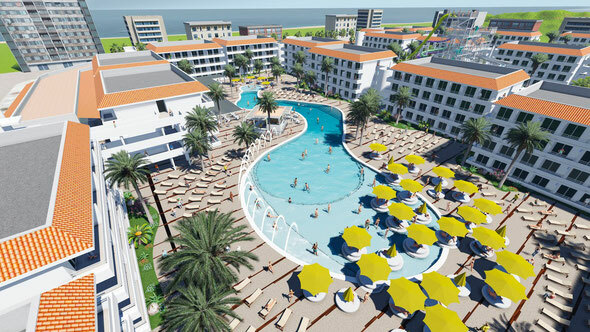 There will also be a new ‘Island Beach Club’, which will be open all day with plans to bring some of the most cutting edge events and promoters. 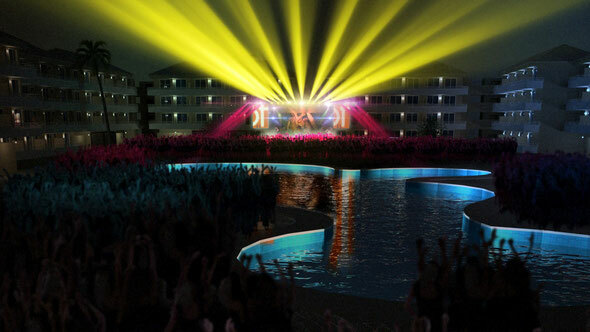 ‘The STAGE’ live event arena plans to bring you some of the world’s biggest DJs twice a week.